Sony Ericsson is embarking on a national campaign to collect 1 million digital photos of people smiling andraise P1 million for the United Nations Children’s Fund or Unicef. For each smile Sony Ericsson photographs of people who visit their booths in SM malls all over the country, P1 will go to Unicef. The campaign is done in partnership with nine SM Malls that will also be holding a contest among themselves on who could gather the most smiles. SM Prime Holdings vice president Marissa Fernan, who is a bit of a gadget nerd herself, is confident of Cebu’s chances to win the contest among SM Malls. You have until the end of this month to go to the Spread the Smiles booth in SM Cebu and have yourself photographed there. If you give a P20 donation, you will be given a Digiprint photo printout, a spot on the Smile Wall and a raffle ticket to win a Sony Ericsson C510 Cyber-shot phone. SMILE SHUTTER. Vince dela Cruz, Sony Ericsson product marketing manager, demonstrates how smiling can trigger the shutter of Sony Ericsson’s Cyber-shot phones during the launch of its Spread the Smiles campaign in Cebu. I spent two glorious days last week testing the latest model in the Sony Ericsson Cyber-shot line: the K850i. When Jonjie Gonzalez, Sony Ericsson’s press relations man in Cebu, invited me to test a K850i demo unit for a day or two, I jumped at the chance. I am, after all, a rabid Sony Ericsson fan-boy. The Sony Ericsson K850i comes with a 5-megapixel camera and a slew of standard Cyber-shot features that distinguish the line among camera phones. Sony Ericsson K850i. The latest in the Cyber-shot line comes with a built-in 5-megapixel camera and a lot of features that distinguish the line from other camera phones. The phone, however, no longer has the small mirror that helps you position yourself when taking self-portraits. Click on photo to enlarge. It has a dedicated camera button and does away with the active lens cover of previous versions of the product line. I’ve gotten used to the active lens cover–a sliding cover that activates the phone’s camera when you expose the lens–and had to stop myself a few times from using my fingers to slide a non-existent cover. But doing away with the moving parts that make up the active lens cover makes the phone more compact. The K850i, however, does not have the small self portrait mirror that had been a fixture in its phones. The small round mirror, which helps you align the phone to make sure that you get yourself inside the photograph, is very useful for taking self portraits, preferably beside belly dancers (darn, I missed them during the launch). I can’t understand why the company removed it. 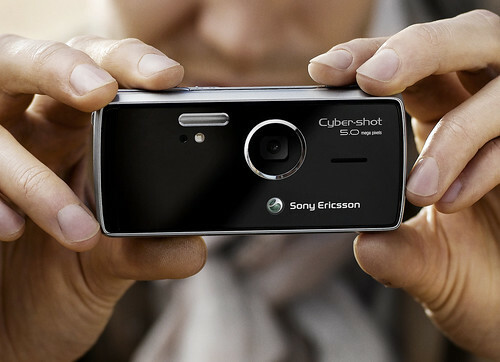 Sony Ericsson has released its latest model in the Cyber-shot line: the K770. The phone, which will be marketed as the K770i in the Philippines and the rest of the Asia-Pacific region, will be available by the fourth quarter of this year. The K770 belongs to a phone line renowned for it’s photo quality: Cyber-shot models have photo qualities good enough to be able to carry Sony Ericsson’s brand for stand-alone digital cameras. SONY ERICSSON K770. The latest model in the Cyber-shot line will be available by the end of this year. Click on photo to enlarge. I still use my trusty K750i but my wife–having converted to Sony Ericsson purely on the fact that she lives with a company fan boy–already upgraded to the K800i. To be honest, the K750i more than serves my needs. I use it to take photos, including images I use in this blog. I once dunked it into the sea in Camotes Islands while taking a water-level shot of my kids swimming. I shook it a bit to remove water that had gotten into openings, let it dry in the sun, and proceeded to take more photos after a few minutes. I use the K750i as my main digital media player and, at times, file storage. I use it daily to send and receive e-mails. I even use it to capture data. 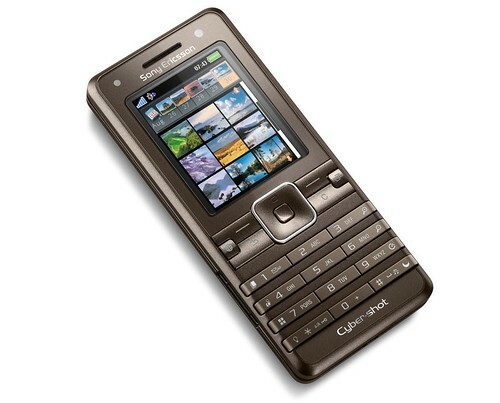 But having played with my wife’s K800i stirred an urge in me to upgrade.